Once we understand your requirements, you will receive details, floorplans, photos of the suitable properties from our portfolio, and last but not least, the map with the exact location of the real estates in order to have a first look at the surroundings. When you have decided which properties from our listings you wish to visit, please, do let us know and we will arrange the appointment and, if wished of course, organize the stay. Visits can be conducted by appointment all the year round, 6 days a week. We first check out all the paperworks regarding the property you are interested in, including title of the property, floorplans and cadastral details registered at Agenzia delle Entrate (the Italian revenue office) planning permits and mortgage if any. The codice fiscale, the equivalent of national insurance number in the UK, is needed to purchase a property in Italy, as well as to open a bank account and get the connections to utilities. We will help you in this process. We will guide and explain to you the taxation process and the pruchase process (please, find some details at our guide on the italian purchase process). In Italy it’s needed to have an italian bank account to purchase a property. We will be pleased to introduce to local banks and help you with the account opening and with other services such as money transfer. We understand that moving overseas doesn’t only mean difference of language, culture and lifestyle, but also many day to day problems that could be routine. We are pleased to offer you a service that can answer these problems. We will provide a fee scale in advance, and you will be more than free to decice if you wish to avail yourself of these services. If you wish to sell your property in Puglia, we will be pleased to help you in this process. We will deal of the entire purchase process, from the initial property enquiry by the potential buyer to the completion of the purchase in front of the Notary public. We at Housepuglia offer bilingual assistance throughout the purchase process to the final deed. 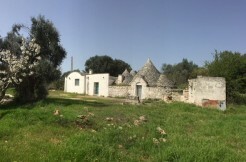 You might be attracted of owning a property in Puglia, be it a country house, a masseria, a trullo or a beach house. In any case, there is also sometimes just the simple obstacle of distance to cope with, which means taking care of the property, changing bills into your name, renovating the house (if needed) and so on..
That’s why we decided to offer our clients after-sales support, in order to answer these problems, even if they are outside of our normal scope, but we will be very pleased to help you. General tips will be free of charge, but additional support will be charged accordingly. Changing utilities into your name, for example electricity, water, tv license, telephone, rubbish collection, council tax, utilities monthly payments, etc.. Owning a property in Puglia, or overseas in general, often means you will need to look after the property, and we understand it’s quite difficult when you live thousands of kilometers far. We are very pleased to offer a property management service and keys holding.. When buying a property, people usually decide to make minimal changes that can transform the layout of the house, for example a wall here, an opening there… A property for renovation means, of course, more work as adding an extension or re-building parts of the house. We can basically help you in these cases, offering initial advice, guiding you through the planning process and so on..
Once we understand your requirements, we will help you to create a design that reflects your needs and, in collaboration with a local professional (an architect, a geometra or an engineer) we will produce all the needed to submit the planning permission to the municipality where the property is located in. We have strong partnership with local builders and, we usually provide clients several quotes for the work needed, in order to have a clear idea about the real cost. We also have partnership with companies specialized in building swimming pools, and you will be able to choose the size, form, materials (liner or tiles), lightning etc. at a fair price. For example, the cost for a 2 meters deep 4×14 swimming pool (skimmer type), ready to use, including cover, lightning remotely controlled, filtering pump, steel stairs and all the needed is some 26.000 euros. Please, note here in Puglia, and in Italy in general, there are local restriction regarding the size, form and material, even if the renovation of the property is always possible.. In most cases it’s possible to apply the “piano casa” and you will be allowed to extend the house by the 20% of the existing volume, that goes up to 35% if you are planning to knock down the building and completely rebuild it. At other times, another real possibility, depending on the area, is to buy a plot of land and build a new house from scratch. Working with these restrictions it’s possible.. you will certainly be able to create your home in Puglia.